Godox V860II flash for Fuji for sale, in excellent condition. NO MORE AA BATTERIES! Works great with my XH-1 as fill flash in portraits. Fujifilm EF-X20 Shoe Mount Flash for Fujifilm. Condition is Used. Shipped with USPS Priority Mail. Good working condition. Flashpoint Shoe Mount Triple Bracket with Swivel Umbrella Holder. Savage 22" 5-in-1 Round Photo Reflector. All gear has been owned for about six months and shows no sign of use. 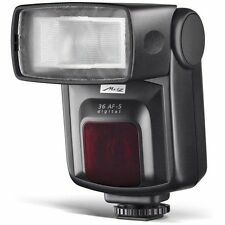 Godox V350 flash for Fuji for sale, in excellent condition. NO MORE AA BATTERIES! Very small and light. Works great with my XH-1 as fill flash for portraits. 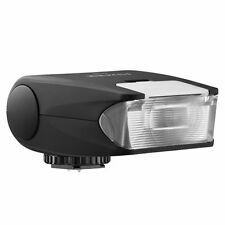 Meike Flash Speedlite MK-320 GN32 HSS Master Control TTL for FujiFilm X . Condition is Used. Shipped with USPS Priority Mail. Used sparingly for a couple years. Everything works perfectly. All that is pictured is included; nothing more. Fit for: Fujifilm. 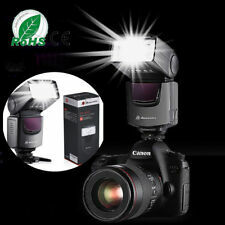 Flash mode: TTL/M/S1/S2. Illumination angle: Up-down rotation angle (down by -7 degree and up by 90 degree), left-right rotation angle (left by 60 degree and right by 90 degree). Used it once to test, nice little flash, includes carry pouch, diffuser, and mini stand. 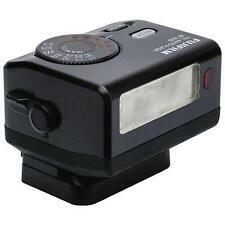 Fuji Fujifilm EF-20 Shoe Mount Flash EF20. Condition is Used. Shipped with USPS Priority Mail. In great shape and works great! Use it as a fill light, side light, top light, the use of light and the feet. A year later, SkyMall had arrived! Our first ever catalog was published and distributed to passengers on Eastern Airlines flights, and a cultural institution (that’s us! ). 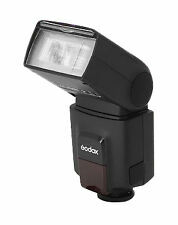 Godox V860II-F TTL HSS 1/8000s Camera Flash Speedlite and trigger for Fuji. 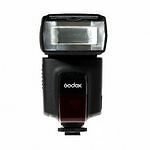 Godox V860II-F TTL HSS 1/8000s Camera Flash Speedlite and trigger for Fuji.. Condition is Used. Shipped with USPS Priority Mail. It’s in excellent condition and works great. Includes everything that came with it. I’d keep it but have some unexpected medical bills, hence the price. Thanks! ML-2D Twin Macro ring flash x1. 3,High brightness LED lamp,supporting with flash and lighting. 2,Large LCDdisplay,easy to operate. Suitable for. Flash Mode: 4 (Constant illumination; All lights flash; Right lights flash; Left lights flash). Brightness Mode: 7. LED Bead Quantity: 48pcs. Flash Guide Number: 15. Flash Range: 5cm-1.5m. 1 x LED Ring Light. 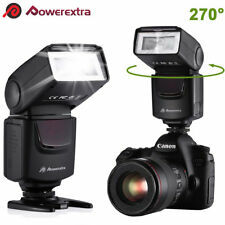 (1) Neewer TT560 Flash Speedlite. Note : TT560 Speedliet is Excellent condition. Model: TT685F. 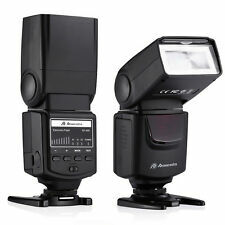 1 Godox Thinklite TT685F Speedlite. Workable as Master or Slave unit in a wireless flash group. Slave-ready Indicator: Two red indicators blink. With built-in 2.4GHz wireless remote system to support transmitting and receiving. Features:Two Transmitting Styles to Offer Creative Light EffectOptic transmission with even illumination and stable output2.4G wireless transmission with all-in-one functions and 100 meters further transmission.Full TTL FunctionsSupports HSS(max. 1/8000s), FEC, front & rear curtain sync, multi flash ,manual flashConvenient Dot-matrix LCD panelWith dot-matrix LCD panel to offer clear and easy operation.Use 4 function buttons to change various settings according to different situations.Turn the select dial to choose the amount of the settings.Withstanding Overheat and Useful FunctionsGN60 (m ISO 100, @105mm), 22 steps of power output (1/1-1/128)Approx. 0.1-2.2 s recycle time, 210 full power flashes (using 2500 Ma Ni-MH batteries)Support TTL / M /S1/ S2 mod. 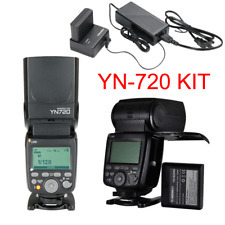 KIT INCLUDES: (1)NW400F Flash Speedlite for Fujifilm, (1)N1T-F Trigger for Fujifilm, (12)Color filter, (1)3-in-1 Cleaning Kit; Suitable for Fujifilm X-Pro2, X-T20, X-T2, X-T1, X-Pro1, X-T10, X-E1, X-A3, X100F, X100T. Flash is in very good condition. All functions work as they should. Specifications Compatible Cameras: Fujifilm DSLR Cameras(TTL autoflash) Guide No. (1/1 output @ 200mm): 60(m ISO 100) / 190(feet ISO 100) Flash coverage -20 to 200mm (14mm with wide panel) -Auto zoom (Flash coverage set automatically to match thelens focal length andimage size) -Manual zoom -Swinging/tilting flash head (bouce flash): 0 to 360 Degree horizontally, -7 to 90 degree vertically Flash Duration: 1/300 to 1/20000 seconds Exposure Control Exposure control system: TTL autoflash and manual flash Flash exposure compensation(FEC): Manual. FEB: ±3 stops in 1/3 stop increments (Manual FEC and FEB can be combined.. Fully compatible with YONGNUO radio transmission trigger signal of YN720/ YN685/YN560 IV/YN660/YN560 III/YN560 TX/RF605/RF603/RF602, and there are 16 channels available for choice. 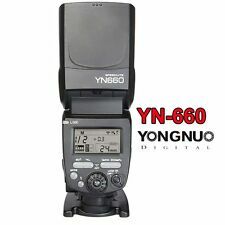 -- As slave unit, YN720 can receive the radio transmission trigger signal from YONGNUO YN720/YN560 IV/YN660/YN560 TX/RF605/RF603/RF602.